Judging by the extraordinary international diversity of the visitors who queue up every day, Notre-Dame de Paris is undoubtedly a ‘jewel of Humanity'. With 12 million visitors a year, Notre-Dame de Paris was the most visited monument in the world, ahead of the Great Wall of China or the Great Pyramids (the last of the seven wonders of the ancient world still standing). Indeed, behind its pious façade, crowned with its sumptuous rose window, Notre-Dame de Paris is one of France's most important symbols, but is also a symbol of global cultural significance. Today, the entire planet mourns the destruction of the most famous example of Gothic Art and a veritable masterpiece of ‘operative masonry'. 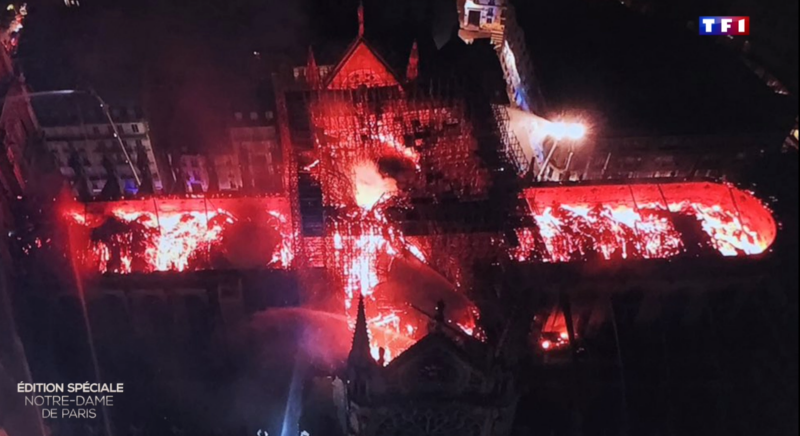 Many Heads of State have expressed their sadness at seeing such an extraordinary symbol destroyed by flames, and financial commitments have already been proffered by France's most powerful patrons like Vinci Group, the Arnault family and LVMH Group (€200 million), the Pinault family and Artemis holding company (€100 million) and the City of Paris (€50 million). The Ehrmann family, Server Group and Artprice have also joined this spirit of generosity. Notre-Dame de Paris has indeed survived other ordeals, but nothing quite so devastating. In the Middle Ages the building survived the Hundred Years War and in the 20th century it lived through two World Wars. In 1793, during the French Revolution, its Kings' Gallery was demolished for being a symbol of royalty and the heads of the statues were not found until 1977. They are now kept in the Cluny Museum. Artprice wishes to thank Cision Group for the global distribution of this press release.